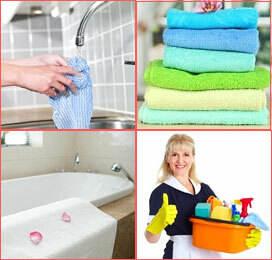 Maid In West Sussex provide professional, high quality house cleaning services in Middleton on Sea. Our domestic cleaners in Middleton on Sea are ready to clean for you on a regular or one-off basis. All our cleaners are dedicated, experienced and trustworthy. Whatever your requirements our staff will take pride in cleaning your home. We fully background check all our cleaners and you can rest assured, we only employ reliable, honest, hardworking cleaners with a proven track record. Our Middleton on Sea Domestic Cleaning Services are available for homeowners, tenants, landlords, estate agents, letting agents and holiday home owners. Whether you need us for a one off clean or for a regular cleaning programme, we are always available to provide a service that meets all your requirements.